The Chianti area has a unique charm and it is no coincidence that it is one of the best known areas of Tuscany throughout the world. You probably think that those who live here are immune to all this beauty, or that they simply don’t notice all the pretty things they have in sight almost every day. But let me assure you that even a born and bred Tuscan like myself, never tires of exploring and admiring the region. Chianti is intriguing: attracting you with its relaxing landscapes, orderly succession of vineyards, typical cypress trees at the edge of roads and capturing your attention with its small villages that doze on the hills. 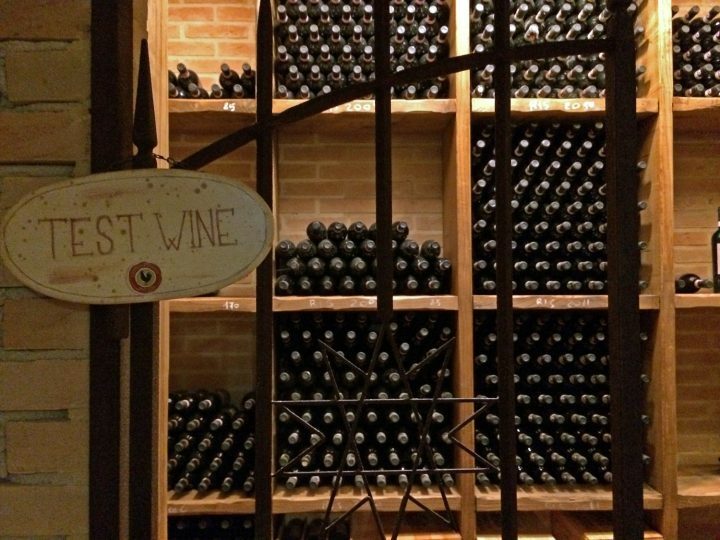 Finally, Chianti will bewitch you with its renowned wines. All of this will definitely make your head spin. The appeal of Chianti is practically irresistible, and that’s why we accepted with great pleasure the invitation to tour the Chianti Classico zone. The proposal came from My Tour, a tour operator based in Siena who specialized in creating personalized experiences and tours in Tuscany and Italy. The tour included a trip aboard one of their Vespa Piaggio scooters or a vintage Fiat 500 car. The uncertain weather and threat of rain chose for us and our day played out in an authentic Fiat 500 car, adding a nice vintage touch to the experience. Driving along the gentle ups and downs of Chianti, we traveled thru the heart of Tuscany, stopping in three beautiful places. 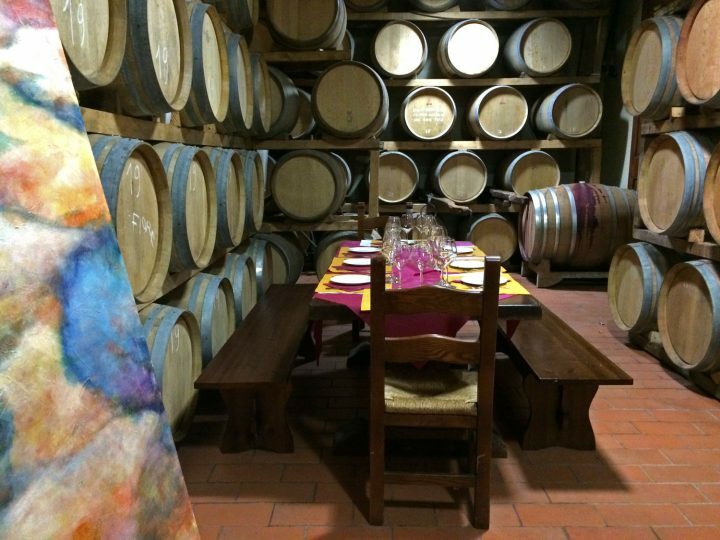 For lunch, the “brigade” stopped in Castellina in Chianti, at the the farm Poggio Amorelli, where we enjoyed an excellent lunch in a suggestive atmosphere, surrounded by wine barriques and vin santo barrels. 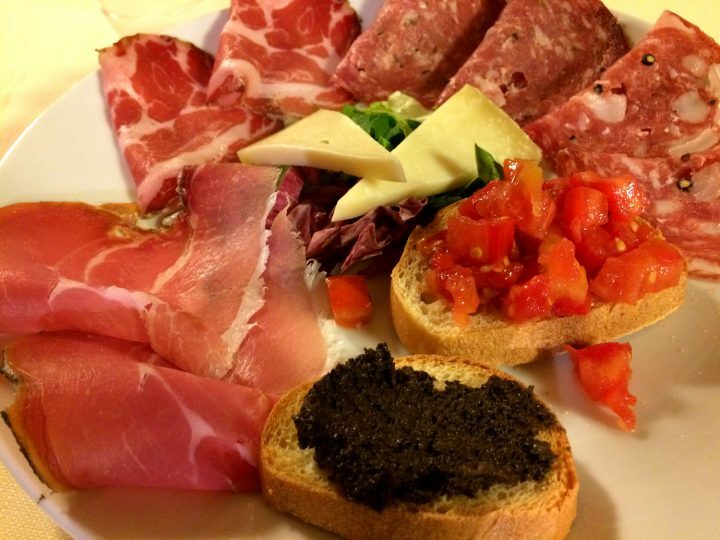 The Tuscan fare was accompanied by the fine wines produced by the vineyard. 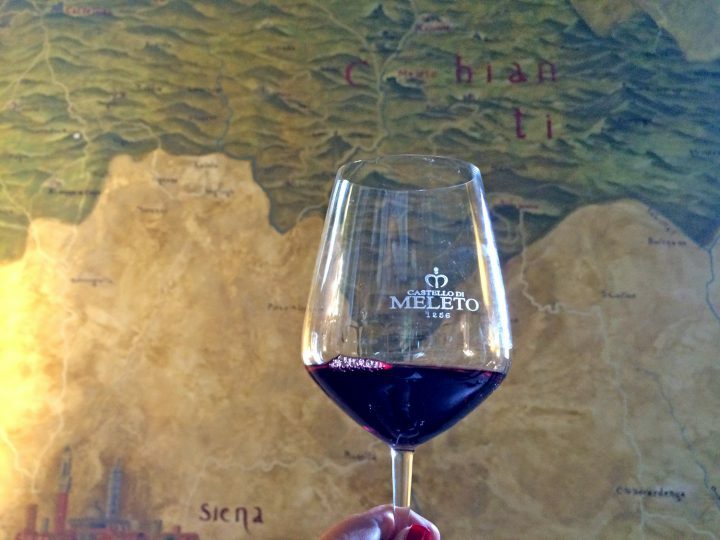 Next stop Gaiole in Chianti, where we participated in a wonderful tour of the Castle of Meleto, a fabulous place whose origins date back to the eleventh century and which was one of the powerful Ricasoli family properties. The Baron Bettino Ricasoli was the one who formulated the original recipe for Chianti wine (made with 70% Sangiovese, 15% Canaiolo, 15% Malvasia grapes) in the mid 1800s. Together with the our visit to the castle was an itinerant wine tasting of the excellent wines produced by the estate, different flavors were paired with the elegantly frescoed rooms of the castle, the ancient underground cellar and the little theatre from the eighteenth century. The day came to an end at the restaurant of Tenuta Casafrassi, in Castellina in Chianti, with a selection of typical Tuscan dishes: in a word exquisite. We even managed to find a bit of space for dessert and more wine. It was a suggestive and evocative tour of one of the most iconic landscapes of Italy, where we had the perfect opportunity to savor the fragrances and flavors of Tuscany, and all of this in good company of newly made friends. Chianti enchanted me once again! 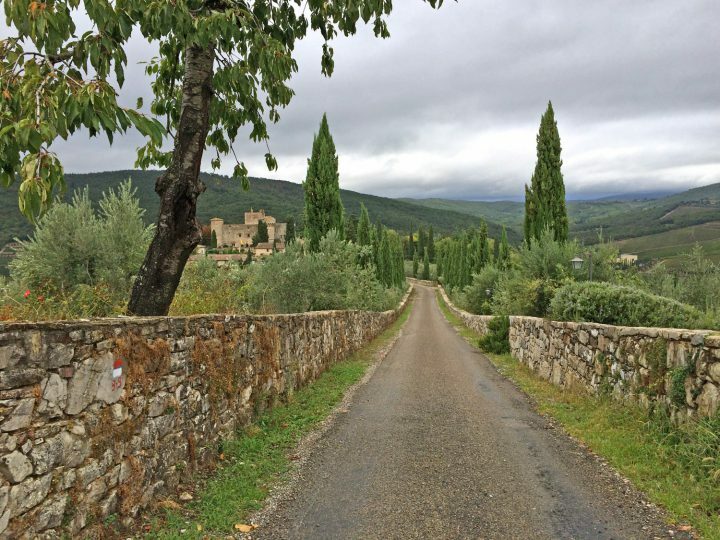 If you are looking for a guided tour in Chianti, scooter or car (with or without driver) or want to have an original experience in Tuscany, you can contact My Tour and book one of the tours regularly offered tours or talk to them about your special preferences. http://mytours.it/.